ASTD TK11 is about to begin! I’m all a-tizzy about helping facilitate the TK Chat sessions this year – informal conversations (talk-show style) with some of the best minds in the industry. I would love these conversations to be focused on practical information that people can use in their work. Burning questions that real people want to know about these subjects. SO. What questions would you ask these people on these subjects? What do you want to know? I might have questions for the person presenting on Instructional Design. 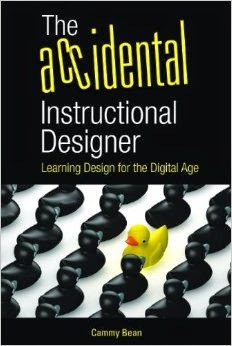 I have no idea of what the presentation will contain, but I recently blogged about The New Age Instructional Designer http://bit.ly/g0tGa3. So i might have questions on what the presenter foresees as the how the role of Instructional Designers will turn in future. What guidance can you provide to facilitators and designers and participants in virtual learning experiences, especially where mobile devices are employed? I like to ask a question of Ellen Wagner in the Instructional Design section. Whilst learning metrics may be possible in many circumstances are we anywhere near creating them for subjective skills such as leadership? As Uncle Albert said; “Not everything that counts can be measured”? Everything can be measured, but one must remember that the measure is in many ways an abstraction of the thing -- not the thing, itself. In the case of "leadership," I could ask you "How do you know if someone is leading? What are the behaviors of 'leaders' that you can see, witness, identify, etc?" Whatever the answers to that question are could be measured in a variety of ways (a rubric, perhaps)? The more subjective a skill is, the more effort it's going to take on the part of an organization to put measures in place that are contextually relevant. I believe that everything can be measured. This is different from saying that everything should be measured. I'd want to ask roughly the same question of both the performance support and instructional design teams. It's a question I hear from my clients a lot: How do we break out of the role of obedient information formatters and move up into being performance consultants in our organizations? Example: In two projects recently I've heard SMEs refer to instructional design as "instructional design formatting." They and the other stakeholders expected the ID in the organization to simply reformat the info they provided and to do it in a matter of days. So my question would be: What specific recommendations can IDs follow to make sure they're included sooner in a project and are given the chance to do their jobs? My suggestion would be to be proactive and point out a performance problem before someone else lays claim to it, then shepherd the project the way it should be done, showing how an ID with their hands untied can create a more effective solution. This could increase the chance that you'd be included sooner on someone else's project. Then there are the smaller subversive acts, such as suggesting that at least some of the expensive elearning "formatting" might be avoided with a simple on-the-job HTML reference and, by the way, what references are people currently using? Are they working? I'd like to ask the mobile learning experts for their advice on how to adapt/redevelop existing courses and content for mobile delivery. Another way to ask the question: How would you advise learning developers to shift their perspectives when developing mobile learning tools? I'd like to ask all the (great) experts for their ideas on capturing institutional knowledge through social or other tools as baby boomers retire. Thanks, Cammy, for all the work you're doing to make these sessions great!